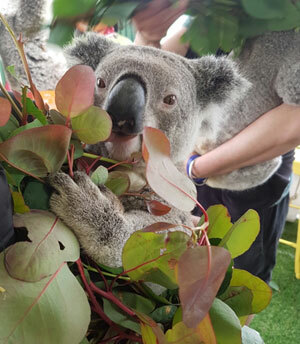 Get up close and personal with Australia’s cutest and cuddliest furry animal, the koala! Pose for a souvenir photo for a day you won’t forget. The free roam nature of Cohunu means you can wander the park at your leisure, hand feeding the animals that you meet on your way, like emu’s, wallabies, goats and alpacas. Hop on the miniature railway* for a Safari ride around the park and keep an eye out for the giant dinosaur statues along the way! Do you know what a puggle is? Or a monotreme? Find out when you visit Armadale Reptile and Wildlife Centre on a school holiday adventure. The Centre is home to over 70 different species of Australian native animals including mammals, reptiles, birds and amphibians. Pack a picnic and take advantage of the free BBQ facilities located on site before or after exploring the grounds. Open 10am - 4pm daily (closed Wednesdays except during school holidays). A geocache trail that is! Screen time doesn’t have to be confined to four walls. Grab the kids and smart phones and head to the Geocache trails of Armadale for a real life scavenger hunt. Discover epic art murals and historic monuments around the town centre as you solve clues to crack the code at the end of the trail. Prefer a bushland ramble? Head to Armadale Settlers Common to embark on an adventure through towering Jarrah Forest to find the hidden cache. Download the Geocaching app on your device or pop into the Perth Hills Armadale Visitor Centre at 40 Jull Street to get started. A meal out doesn’t have to get expensive, head to Hogs Breath Café in Kelmscott for a family feast that doesn’t break the bank. 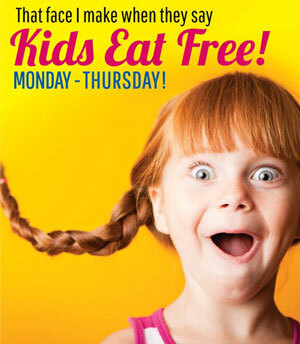 Kids eat free Monday – Thursday. One free kids meal per adult main meal over $20. Kids must be 12 or under and ordering from the Kid’s menu. Breakfast, lunch or coffee and cake, Brook 508 Café is great for kids any time of day. The indoor kids play area is ideal to let your little ones enjoy their playtime while you have your cake and eat it too! The kids will love exploring the 6.4 hectares of lush gardens and native bushland that surround Naked Apple in Karragullen. Let the good times roll as you kick back and relax while the kids expend all that extra energy! Fur babies welcome too. This beautiful old English pub is perfect for the whole family, enjoy a summers evening dining alfresco on the village green. Bring a ball and let the kids run about and play to work up an appetite, the kids menu features all the favourites; cheeseburgers, nuggets and lasagne, all $12 including a juice box. Parents, be sure to sample a brew or two – brewed on site!